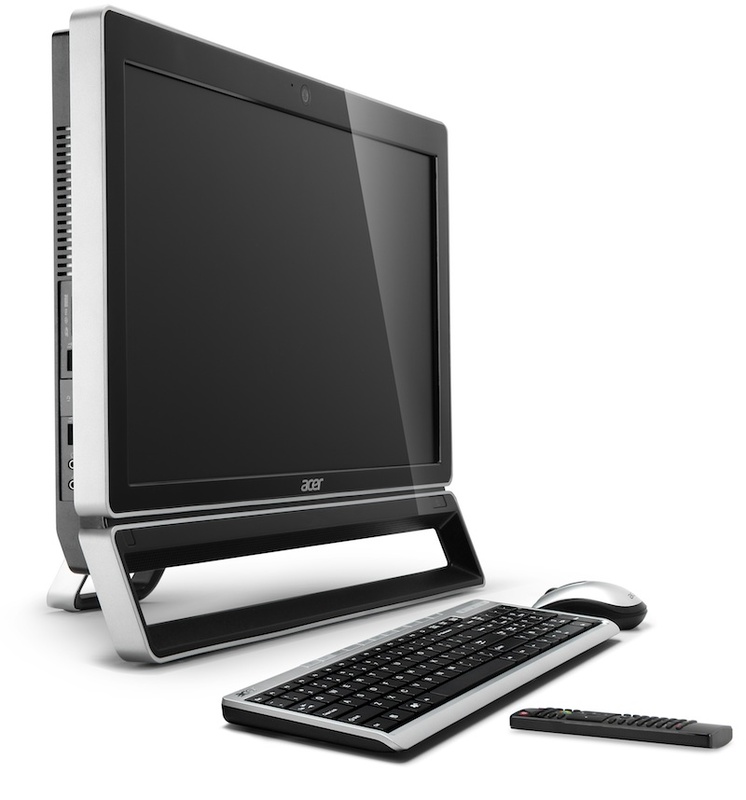 Computer maker Acer is rolling out two new all-in-one touchscreen desktop systems just in time for the holiday season, with an eye towards bringing HD media, entertainment, social media, and even some honest-to-goodness computing into family-friendly areas of the home. The Intel-based AZ5 series sport 23-inch HD displays, while the AZ3 series sport 21-inch displays for fitting into smaller areas, along with AMD processors and ATI Radeon graphics. 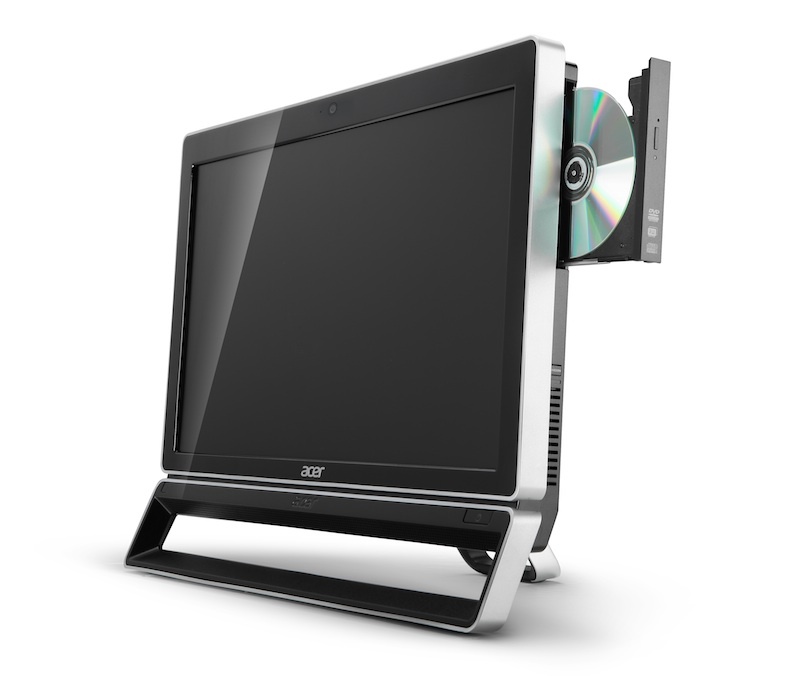 The AZ5 series will launch with two models featuring 23-inch multitouch touchscreen displays with a native 1,920 by 1,080 resolution, a 3.3 MHz Intel Core i3-2120 processor, and a whopping 1 TB of hard drive storage for handling movies and TV shows, home video, photos, music, and more—and with Acer’s clear.fi technology, users can share media from the all in one (or pick it up on the all-in-one) from all over their home network, eliminating synchronization hassles. Users can browser media types and drop the media onto any DLNA-compatible PC or device for use. The systems ship with 4 GB of RAM and push their screen with Intel HD graphics; they also sport a super-multi DVD±RW optical drive, 4 USB 2.0 ports (rear), two high-speed USB 3.0 ports (side), multi-in-on media card reader, a built-in 1.3 megapixel webcam, 802.11b/g/n Wi-Fi, gigabit Ethernet, and built-in 2.5W speakers. The systems also come with a wireless keyboard and mouse. The AZ3 series stop down to a 21.5-inch 16:9 display and run on a 2.7 GHz AMD Dual-Core A4-3400 Fusion processor along with AMD Radeon HD6410D graphics and a 500 GB hard drive. Other specs are similar, including the USB 3.0 ports, optical drive, wireless connectivity, along with a wireless keyboard and mouse. 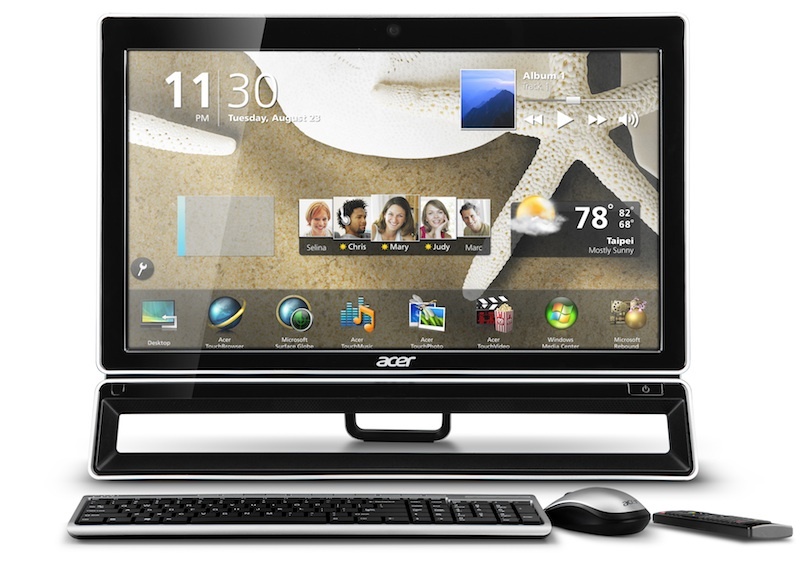 Both systems ship with Windows 7 Home Premium 64, with the AZ series starting at a suggested price of $749.99 and the AZ3s starting at suggested prices of $639.99. Both systems should be available now at retailers. Acer is also introducing new Veriton all-in-one systems that are more aimed at schools, institutions, and businesses than consumers, but might tickle some folks’ fancy: they’ll offer 20-inch 1,600 by 900-pixel displays and pack Intel Pentium G620 and Intel Core i5 processors, respectively, with the Core i5 version shipping with Nvidia GeForce GT520M graphics. The Core i5-powered Veriton Z2620G will start at $849.99, while the Pentium-powered Veriton Z2610G will start at $649.99.